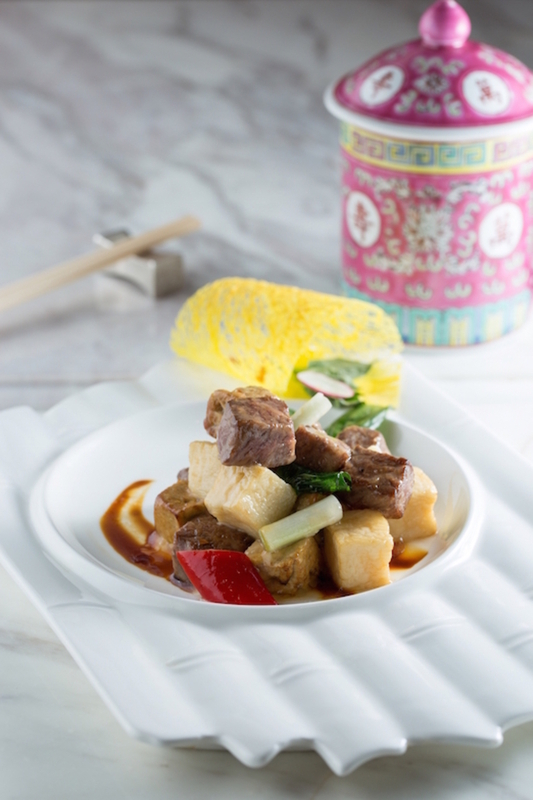 Since Tycoon Tann opened in 2015, it’s been serving up luxurious twists on classic Chinese dishes for those in the know. Many who walk past its location on Wellington Street might assume it’s just a watering hole as the ground floor hosts the Chinese-medicine-shop-inspired Mod Bar. 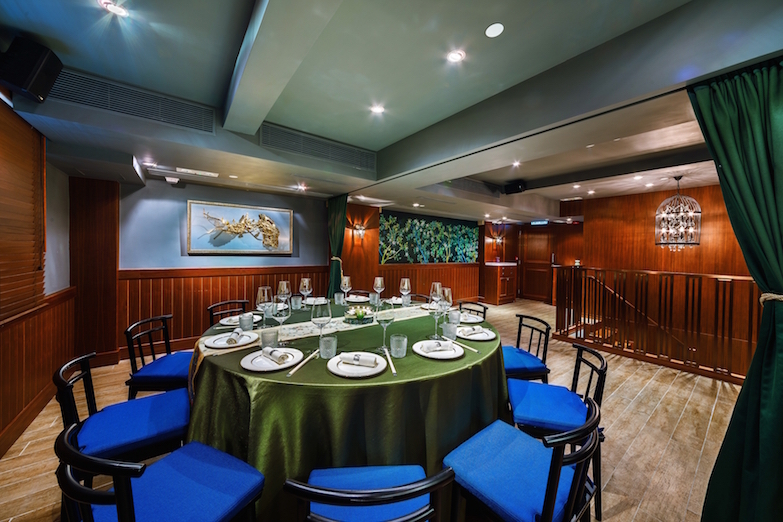 In reality, the two upper levels offer cosy tables for small and large groups alike. 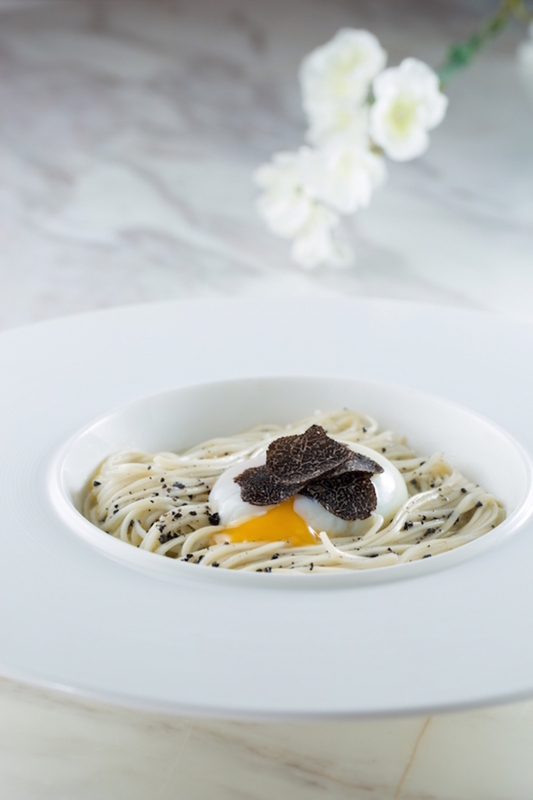 Recently, the restaurant has refreshed its offerings to give Hong Kong’s discerning diners more options. One new idea is the pairing of traditional dim sum with innovative Chinese-inspired cocktails. For example, say you fancy the steamed glutinous rice roll with preserved meat ($36). You could try their suggestion of pairing it with a Tycoon Tann cocktail ($120), a Mod Bar classic with Hayman's Gin, Hau Diao, Rosso vermouth and Campari, which aims to cut the richness of the glutinous rice. We'll have to go back for this though, for our mission on the night we visited was to try some of the new à la carte menu items. Our favourite of the night was the pan-fried diced beef fillet with foie gras and Thai basil ($268). While we were surprised to find Thai basil on a Chinese menu, this dish was undeniably delicious. It was our first time having stir-fried foie gras, and it was a tender treat alongside the flavourful beef. There was just enough fragrant sauce to enhance but not overpower the premium ingredients. Some may want to order the homemade noodles with onsen tamago and black truffle ($168) just for the Instagram or Boomerang opportunity. While we found this dish a bit wet, the high-quality ingredients brought big flavour to a delicate dish. 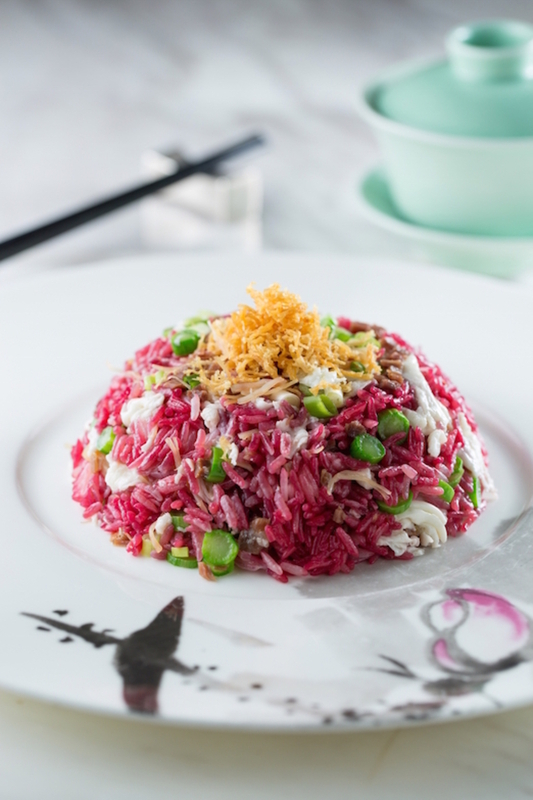 The last new item we tried was the beetroot fried rice with conpoy, Yunnan ham and egg white ($218). We don’t think we’ve ever been served a more beautiful fried rice dish and are not surprised they chose to feature it on Tycoon Tann’s Savouring Art 2017 menu. It’s a delicate, sophisticated take on a humble dish. For those wary of beetroot’s earthy taste, fret not as this rice is mildly flavoured. We also tried some of the Tycoon Tann’s bestselling dishes and enjoyed them. The much-lauded charcoal-grilled Hungarian Mangalica hog with honey sauce ($328) was well marbled and melt-in-the-mouth delicious. The braised bean curd with black truffle ($178) had a perfectly soft, wobbly texture with a strong flavour. 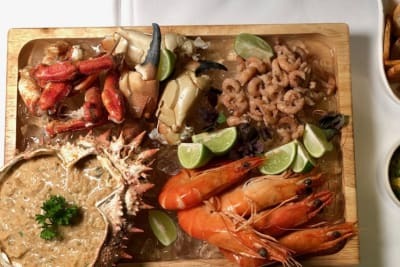 The baked crab shell stuffed with crabmeat, onion and cheese was creamy and fresh – luxurious comfort food at its best. And of course we had to try the Pearl of the Dragon ($248) when we saw it arrive at another table. 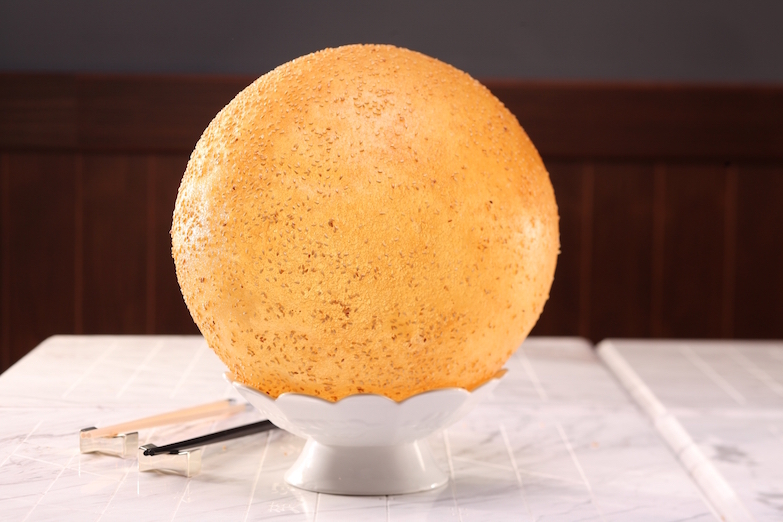 This is the biggest jian dui (deep-fried glutinous rice ball) we’ve ever seen! While the skin of the traditional version is thick and chewy, the Pearl's is paper thin. Once the table had oohed and aahed over it, a waiter whisked it away and returned it, carefully cut into small (and very addictive) triangles. 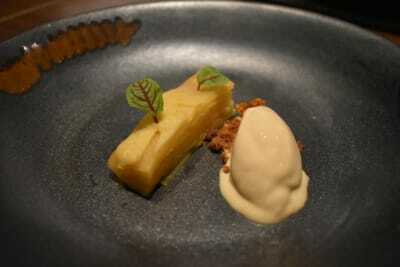 Overall, our dinner at Tycoon Tann was a pleasant experience. The atmosphere at dinnertime is dark and romantic, and the dishes – if a bit scattered, conceptually – are satisfying. If you’re looking for a luxurious Chinese meal and don’t mind paying for it, give Tycoon Tann a try.